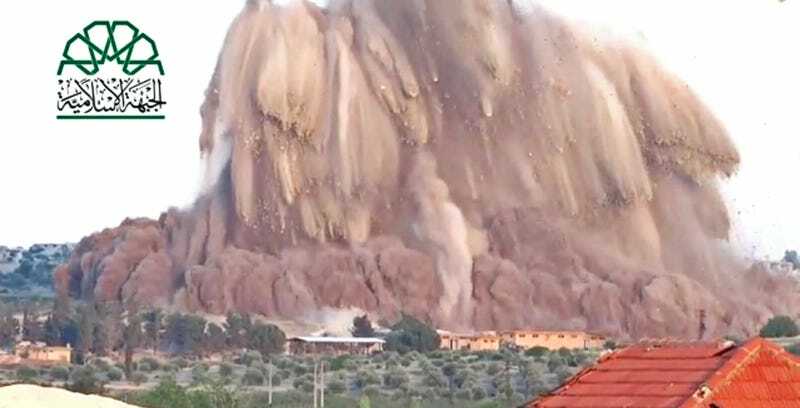 Tunnel bombs have become a tactic of choice for Syrian Rebel forces, although they do not always end up in the perfect location to be effective. Example, the video below. As with so many insurgencies and guerrilla warfare scenarios, when living and/or fighting the enemy above ground becomes to dangerous or strategically deficient, fighters will begin to descend below terrafirma, which presents the worst tactical situation imaginable for the enemy. As Vietnam reminded us, fighting in tunnels is not only extremely deadly but psychologically damning as well.